Everyday is a new day when you have fussy kids at home. We need to come out with new ideas everyday to handle fussy eaters. 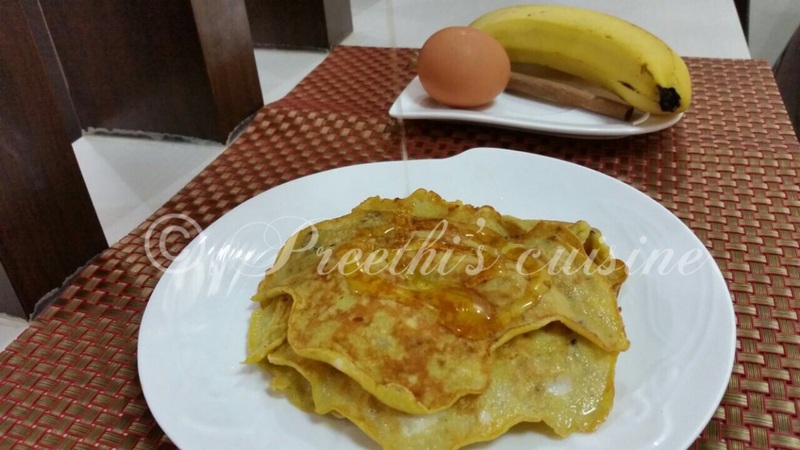 I can assure you that your kids will love these pancakes and it takes less than 5 mins to prepare this healthy yummy breakfast which is healthy and yes flourless too. Break the eggs in a bowl and beat well. Mash the ripe banana in another bowl. Add mashed banana to the beaten egg mixture. Sprinkle some cinnamon powder and mix well. Heat the skillet. Pour the mixture on the skillet . Drizzle few drops of oil in case you are not using a Non –Stick Skillet. Place the pancakes one above the other and drizzle some honey and serve. Even before you blink these yummy pancakes will vanish. This is lipsmacking and just loved it. Thanks Prateek. Glad you Liked it. 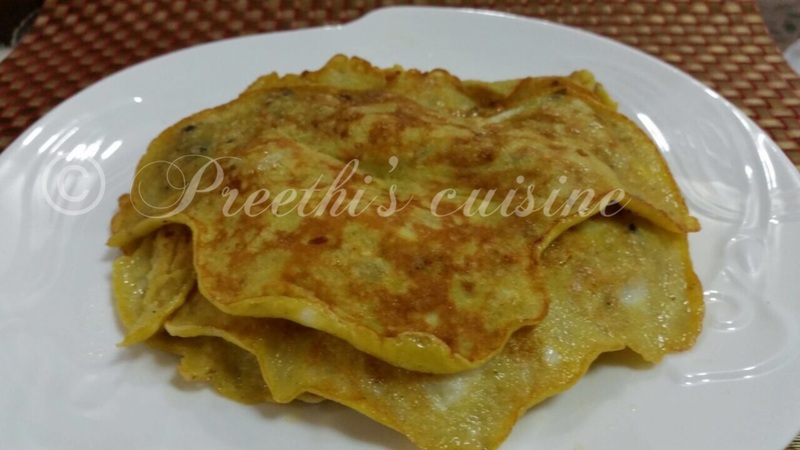 Simple, yummy and scrumptious. My kids loved it. Thank you for your feedback Swati. I am glad you and your kids loved it.